It's that time! And when better to announce the news then on Super Sunday! I hope everyone had a good time and learned something. Contests are for fun and meeting new friends after all! As I said on twitter there were a ton of great entries, but I only had room for sixteen. With 200 entries that means a lot left behind. Be sure to check the Team Sun picks over at Amy's blog, and remember that contests aren't the only means to get in front of agents. I never made it in to any large contests, so I know exactly how you feel. I got my agent from a query. And everyone's journey is different. Keep on keeping on! Mentors should be contacting you soon, but give them until Monday afternoon. Get your revised entry back to me no later than Thursday, February 18 at 3:00 pm EST. That’s so I have time to format the entries and have them ready to post for the agent round on Monday, February 22. Mail your revised entry to the contest email Sunversussnow (at) yahoo (dot) com. 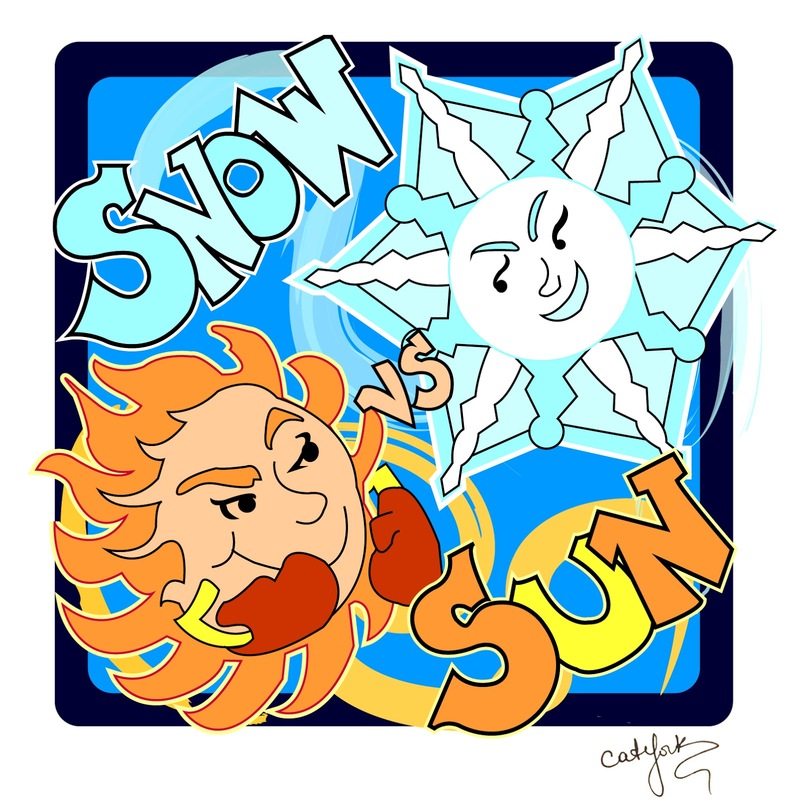 Please use the exact same format and don't forget the Sun versus Snow question. And do find me on twitter (@Michelle4Laughs) so I can add you to my list before the agent round! I hope everyone sticks around to party and see if Sun or Snow gets the most requests. Team Snow will be ready to kick it to the sun! Thank you again for creating the contest. I did not win... but I am glad I entered. Congratulations to all!